Have just arrived in Boston (Cambridge, actually) for the first VRM (Vendor Relationship Management) workshop, which runs July 14-15, 2008. 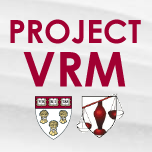 ProjectVRM is under the auspices of the Berkman Center at Harvard, and is a project being spearheaded by Doc Searls as an effort that will enable customers and vendors to engage in more mutually beneficial relationships. There are a few things in particular that I personally am hoping to help drive forward over the next couple of days. The first is to nail down a solid working model of what it means for something to be able to call itself "VRM." This project has some legs, and without the above, there will be a surfeit of products and/or services coming into the market that will attempt to connect themselves with the effort. That’s fine, but there needs to be a standard and unambiguous way of separating the wheat from the chaff, and separating the architecture from the marketecture. The next goal related to code. Over the next couple of days, I want to both learn about and, more importantly, determine the best ways we can contribute to the code that’s going to need to be created to enable VRM. What will this code do? It will enable us, as individuals, to be have increased control of our digital information, and independence regarding its use (rather than having every bit of our digital identity strewn about the tens or hundreds of vendor silos in which it currently lives, which is the current state-of-practice, unfortunately). Also, some great thinking here from Alan Mitchell: "Is VRM a Phenomenon?" This group is going to get a lot of work done over the next couple of days. Looking forward to rolling up the sleeves and digging in.